The first artist to experiment and come out with Electronic and Ambient music in Pakistan gives away a soothing taste for the masses with a local vibe in few of his songs. 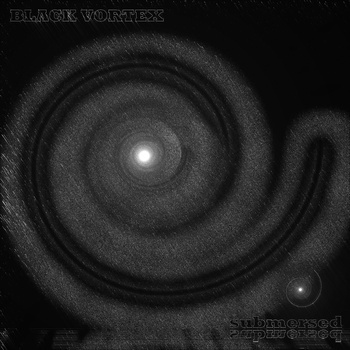 Black Vortex releases his first EP "Submersed" making the genre a reality in Pakistan, The love for music came throughout the Life of Amir aka Black Vortex and began to experiment with different elements to produce what would be the first of it's kind in Pakistan. The EP is consistent and soothing with all tracks to mellow you into a state of eaze and lift your emotions with every beat. The first track of the album "Pure Blue" would leave music lovers of all kind over the globe spellbound with it's tribal vocals and beats and gives a perfect start to the tracks ahead to put you in a state of projection as it vastly alters your emotion, As the album progresses tracks such as "Through the darkness" takes a much more upbeat centre with the acid elements syncing perfectly with the right rhythm tuned with the right amount of bass, giving listeners the darkness of the track just as the song name suggests. The last track of the album "Reflecting Little Light" brings a perfect conclusion to what Black Vortex finds seldom and electronic music lovers or just music lovers can relate to the conjunction of beats, guitars, locals, and tunes to make this EP a great listening experience. Black Vortex is diving into the Niche genre in the Pakistani music scene and I hope to see the artist grow on a global scale as his work brings new light to the music era in our industry.